In an incredible display of heart, drive, athleticism, teamwork and sheer will; the good guys won. I’m not a baseball fan. The heat and the time commitment involved in loving baseball just aren’t for me. However, for the second October in a row, I found myself dressing in blue, rearranging plans for games and screaming at the television wherever I could find one during the games. (I even had a superstition about the fact that they won every time I worked out over lunch–lost 5 pounds!) I don’t really feel like I have to be a baseball fan to be a head over heels, and super sleepy, fan of the Royals. To me, they’re not just a baseball team. They’re a culture. This should be the story the kids hear over and over again in locker rooms throughout the country. This is class. Sportsmanship. Being a part of something so huge in a city filled with fans is simply indescribable. You high-five people you don’t even know at the bar. You find every way possible to listen or watch the 3pm games at the office. You encourage your dog to bark just because it sounds a bit similar to “Let’s Go Royals”. 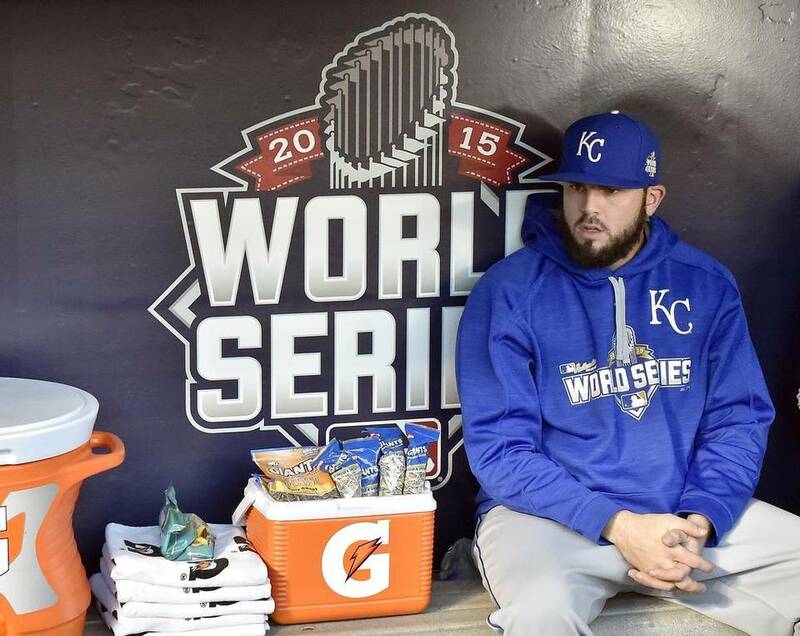 Half the trick or treaters in Kansas City were in their favorite Royals uniform. Cueto, Salvy, Hoz, Cain, Davis, Moose, Esky—everyone has their favorite. I’ve picked a couple of favorites. I really dig Cain’s reach, speed and ability to steal a base. How about Dyson’s speed? And Salvy, what a smile. How about Hoz? Always rallying in the dugout. The example Zobrist and his wife have set for married couples everywhere. How about the pain we all felt as Eddie, Moose and Young mourned their parents? These guys aren’t heroes—they wouldn’t want to be called that. They just love the game of baseball. But, as a team, they have represented Kansas City to the world and to children everywhere with dignity. In and out of the spotlight, they’ve provided a shining example of how games are supposed to be played and teams are supposed to act. So, my story from last night will forever live with me and it probably blends in with so many others. I was ready to stay home, eat dinner, drink my wine and lay on the couch to watch the game. But, there was another plan. One friend says to another and then to my husband who repeated to me something that hit home….”Is this where you want to be when the Royals win the World Series?” No, it wasn’t. I have to admit that being in a room full of people when they took the crown was amazing. I’m not a party on a school night person and I was not going to have wasted a trip and a relaxing night at home—so I yelled. And yelled. And clapped. And jumped up and down. We weren’t going down like this. We were going to take the crown in game 5. Period. It’s been an awesome time to be a Kansas Citian. 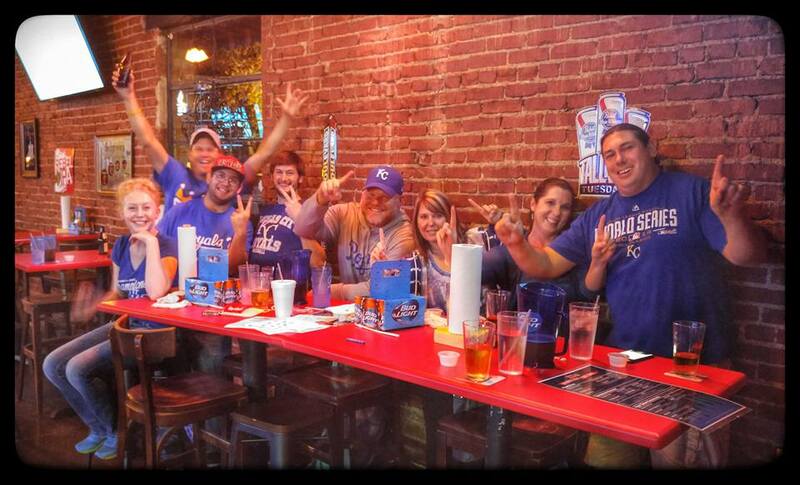 Thanks Royals, for being you and for another beautiful Blue oKCtober. We heart you.